This week, Your News to Know rounds up the latest news involving gold and the overall economy. Stories include: Gold is heading towards $1,450 despite a higher dollar, gold could reach 5-year highs by clearing one technical hurdle, and gold looks promising in India and China. 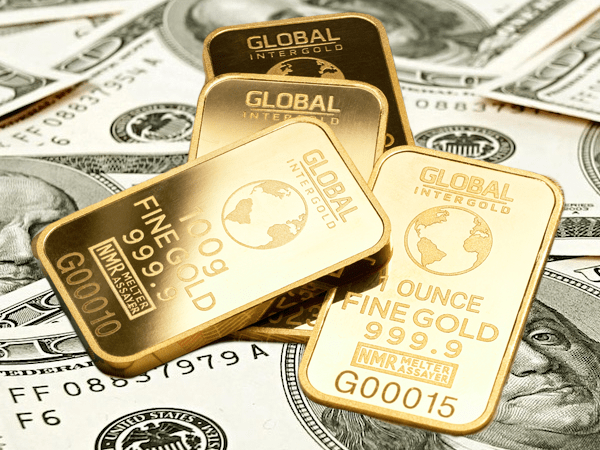 An article on Kitco reports gold could soon abandon its usual relationship with the dollar and move higher along with the greenback. According to Paul Ciana, a Bank of America Merrill Lynch strategist, the dual move up will be brought on by the recent monetary tightening by the Federal Reserve. Ciana noted that tighter financial conditions in the U.S. have, in the past, allowed for both the dollar and gold to rise together. Therefore, he doesn’t expect the rallying dollar to present an obstacle for gold much longer, especially given the metal’s technical picture. Ciana explained that the stage is set for a broader commodity rally spearheaded by gold, with possible gains of 20% across the board. Before the end of the year, investors should see gold capturing $1,450 an ounce, said the strategist. Past this, the metal will also receive support from a return of its inverse correlation with the dollar. Bank of America’s Paul Ciana also recently did an interview on CNBC’s “Futures Now” about gold and how the stage is set for a breakout in the gold market. As Ciana noted, the most important hurdle gold needs to overcome lies in the $1,350-$1,375 trading range. Once prices cross this threshold, the metal will be ready to continue onwards to $1,450 an ounce, capturing highs last seen in May 2013. Ciana feels that the jump is bound to happen sometime in 2018, as gold has been forming a base for the past six years. Because of this, Ciana noted that gold prices have the potential to go much higher than expected. Aside from a traditionally weak month of May, gold prices have also had to contend with a stronger dollar the past few weeks. To Forbes’ Frank Holmes, this creates an ideal entry point for investors as the metal gets ready to post a formidable showing in the second half of the year. As Holmes explains, Indian gold demand plays a major role in overall gold consumption, and a third of this demand comes from rural areas. Since these parts depend on favorable weather conditions, the likelihood of a drought usually tells us what to expect in terms of gold demand for the year. Given that the India Meteorological Department all but guarantees a wet monsoon season this summer, we may very well see another year of record consumption. Last year, India closed the fourth quarter with an all-time high of 189.6 tons of gold purchased. With Diwali and the Indian wedding season spread over the coming months, gold could see a significant spike in prices towards the late summer. Going hand-in-hand with this is the strong bullion demand from China, the world’s other top buyer. Holmes points out that jewelry imports for the first quarter rose 7% year-on-year, reaching a three-year high of 187.7 tons. The industry is expected to make up for a tame 2017, aided by a reimagining of China’s retail jewelry system. Monthly withdrawals from the Shanghai Gold Exchange have likewise held above the two-year average of 170 metric tons. April represented the third consecutive month of rising demand, and the first-quarter bullion demand of 78 tons was above the three- and five-year averages. Holmes isn’t alone in his speculation. Precious metals expert Lawrie Williams also sees an opportunity for gold from China, believing that Chinese investors may be bracing for the possibility of a trade war with the U.S. by loading up on bullion.